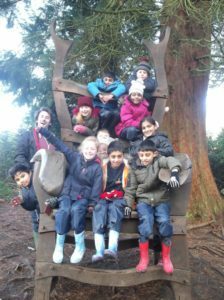 Whitehouse Primary School positively promotes the active involvement of all children and young people in educational visits and journeys or ‘learning outside the classroom’ activities. Off-site activities have a great potential for enhancing the educational, personal and social development of children and young people by enabling them to participate in experiences which are not available to them within the classroom or other education or childcare setting. Every young person should experience the world beyond the classroom as an essential part of learning and personal development, whatever their age, ability or circumstances. These activities offer the most memorable learning experiences, help us to make sense of the world around us by making links between feelings and learning. They allow us to transfer learning experienced outside the classroom and vice-versa. The management of visits and off-site activities places particular responsibilities for the health, safety and welfare of all participants on the Governing Body, Head of School, the party leader, members of staff and volunteers, pupils and parents. The school also has responsibilities to other members of the public and to third parties. This policy on visits and off-site activities, therefore, complements the wider school health and safety policy. It is a priority of the school that all visits and off-site activities are safe, well-managed and educationally beneficial.